The Alban CAT inventory of Certified Rebuild construction equipment priced to meet your needs and budget. Get a like-new machine, for a low cost. These days, construction operations like yours have to find ways to do more with less. One way to make the most of a limited equipment budget is by purchasing quality used equipment instead of brand-new machines. If you’re looking for a source of reliable used construction equipment, Alban CAT is the name businesses trust across the Mid-Atlantic. We’re the authorized Cat® dealership for parts of Maryland, Virginia, West Virginia, Delaware and the entire D.C. Metro area with a vast inventory of quality used construction equipment for sale in stock. Whether you’re searching for a late-model machine in “like new” condition or well maintained aged equipment, we have the selection to meet your needs and budget. In addition to supplying used earthmoving equipment to businesses throughout the Mid-Atlantic, we also have a broad client base across the U.S. and around the world. As an International Used Construction Equipment Dealer, Alban CAT provides access to quality equipment at affordable prices whether you need used motor graders in Maryland or skid steer loaders in the south of France. We’re willing to ship used construction and earthmoving equipment virtually anywhere around the globe. Browse our available Used Equipment Inventory that features CAT® machines and other manufacturer brands. We can use our resources and experience to find the right machine outside of our inventory, contact us today. It’s our goal to provide the most extensive selection of makes and models, ages and conditions of equipment to meet your specific needs. In addition to the best supply of used Cat machines, we also offer an impressive array of used construction equipment from leading allied manufacturers. When it comes to construction equipment, used machines have plenty to offer. A top-quality, low hour piece of equipment can often perform at the same high level as a machine right off the assembly line, while saving you thousands of dollars. The lower prices may also enable you to purchase several machines to round out your heavy equipment fleet. 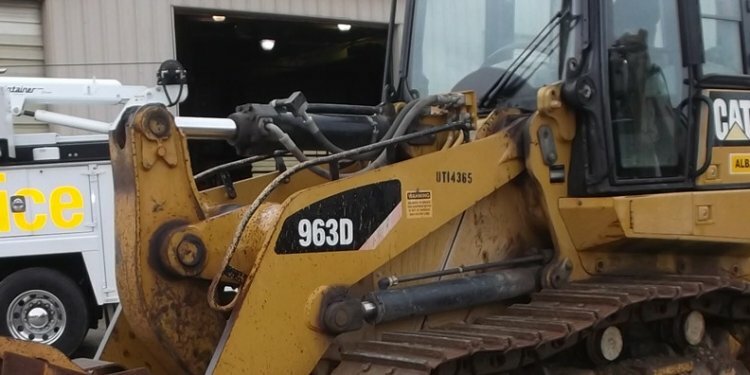 Our selection of used construction equipment in Maryland, Virginia and throughout our territory for sale includes an extensive inventory of CAT machines. Choose from all types and sizes of Used Excavators, Mini Excavators, Track Loaders, Used Tractors, Wheel Loaders, Articulated Dump Trucks and more. When you purchase Cat used equipment, you know you’re getting a rugged machine offering the durability and performance that lives up to the Caterpillar® name. Cat machines are designed to help you move more and make more. You’ll get access to detailed product information for all our used equipment for sale here on our website. For instance, if you’re in the market for a Used Track Excavator, you’ll be able to learn key information about the machine’s condition, availability of attachments and price. You can also subscribe to receive our HotSheet, which delivers timely information about the latest additions to our Cat Used Equipment Inventory …right to your inbox. While used construction equipment dealers in Maryland, Virginia, Delaware and the District of Columbia may come and go, you can count on Alban CAT to be there when you need us. After all, we’ve been serving the Mid-Atlantic region since 1927, and we’ve established a reputation for reliability and trust. That’s why many Alban clients come back again and again for all of their used construction equipment needs.